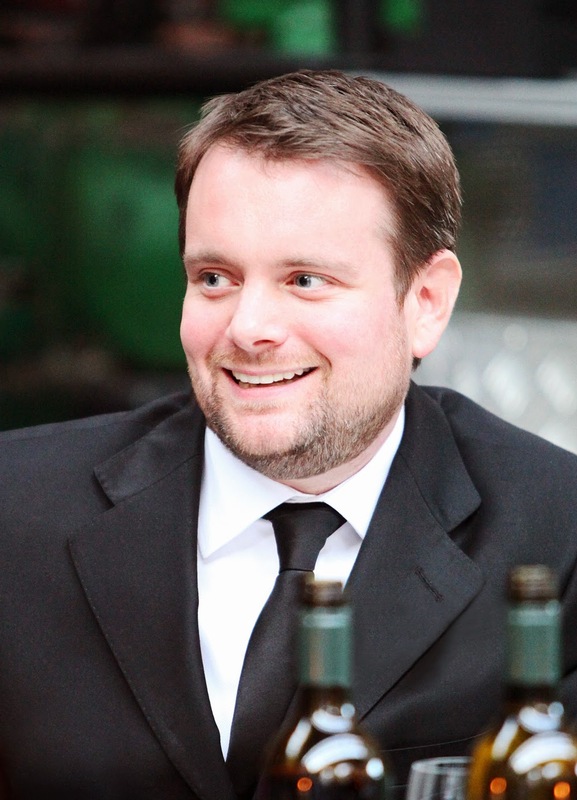 Dark-Readers: Guest Post: Dodger author James Benmore answers our questions.. 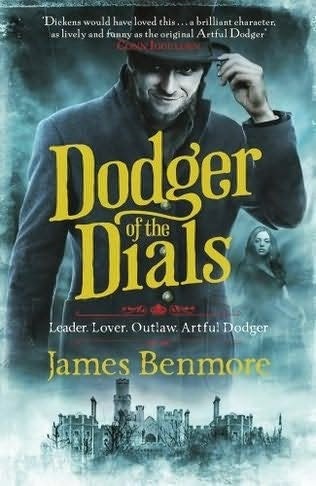 Guest Post: Dodger author James Benmore answers our questions..
As you know I loved reading Dodger. But what made you want to write a book on a relatively old, some may say dated character? Well, I don't know if he is that dated. After all, there will always be criminals as long as there are slums and a great city like London will produce an Artful Dodger in any given century. The traditional Dickens first-person narrator - say Pip, David Copperfield or Esther Summerson - tend to be very virtuous, middle-class voices. Dickens himself would never have let a shady, lower-class, unrepentant character like Jack Dawkins narrate an entire novel throughout but I was really attracted to the idea. I hoped it would bring a fresh perspective to the Dickensian world. What was the inspiration for Dodger? Am I right in thinking you had originally written a few chapters for a university assignment? What made you decide to turn it into a novel? Yes, I originally wrote the first 25,000 words for a creative writing masters course I was doing. I was desperate for an idea with some ambition to it as I'd already started writing something else about a woman who tries to kill her husband and it just wasn't interesting me, basically because it was all a bit rubbish. But I've always been a big admirer of Charles Dickens and, in particular, the criminal contingent in Oliver Twist. So I had this idea that it would be interesting to bring the Artful Dodger back from Australia where Dickens sends him before the end of his book. Fagin, Bill and Nancy have all died violently in his absence so those first chapters were pretty much about that - Jack discovering that his surrogate family have destroyed and his horrified reaction. It worked pretty well in that assignment - better than I had even hoped - and so I decided to expand on those chapters once the course was completed and make it my first novel. I love how it feels like your book follows the film Oliver Twist although a few years later? Like it feels like we're still in that era whilst reading it. One of the main challenges of writing the book was trying to link it to Oliver Twist. This was trickier than I thought because the Dickens story ends very differently to many of the film adaptations such as the famous Lionel Bart musical. So I wondered if some readers would wonder why I was writing about Dodger having been transported to Australia as well as Fagin being arrested and hung. They don't dance off together in the moonlight like they do in the musical - Charles Dickens wrote a far more adult and disturbing denouement for Fagin. Thankfully, Dodger returning to London after six years away meant that other characters could fill him in on the real ending of Oliver Twist which helped to provide the correct exposition . So I think the novel works even for those readers who haven't read the original yet. What do you think Charles Dickens would think of your book? I shudder to think. Of course I'd hope that he'd enjoy the story but the truth is that he may well disapprove of it and think me wildly impertinent for continuing the Dodger's story. Jack Dawkins is an unapologetic thief and I doubt that a Victorian novelist would have cast someone like him in the lead role without making him a very contrite and reformed character by the end. Dickens might be amused by my book but I think he'd also be a bit outraged by it. And he'd probably ask why I just didn't create my own character to which I would have no good answer. Did you always want to be a writer? If so, what is your earliest memory of dreaming of being a writer. If not, what did you originally think you would be? I've always wanted to be a storyteller but when I was a teenager I think I wanted to be a comic writer most of all. I was really into American comics like DC and Marvel but also I was an avid reader of 2000ad, the great British science fiction comic. I could think of no finer job than being a writer like my heroes of that genre - Alan Moore, Neil Gaiman and Grant Morrison. All of those guys were Brits but they were doing really interesting groundbreaking stuff in American publications. Around the age of 14 I felt the same way about those people that some other kids did about rock bands. Before that I was reading comics indiscriminately but once I noticed that some titles were much better written than others I began paying attention to who wrote what and started following the writers rather than the characters. Grant Morrison's fantastic run on DC's Animal Man series had a very big effect on me. After school though I did not have the nerve to pursue writing as I had no idea how someone might set about entering into that world . So I went to the family business - a bed retailers in Welling, Kent called Benmores - where I worked until I was 32. But I had started doing an Open University course by then which is where I fell in love with classic C19th literature and I did a writing course which subsequently led to the masters course that I mentioned earlier. But I think that I would have eventually found my way towards writing somehow or other. It had been calling to me all my life. I think that one of the reasons I was quite slow to start in my own writing was that I lacked confidence in myself when I was younger. And the best way to overcome that is to start with relatively small pieces. If you haven't written much before then don't try and write War and Peace on your first day. Just try and produce a simple short story or a short play. Something manageable that will help you discover what you own writing style is. Then, once you're satisfied that you are developing a voice of your own, start writing more ambitious things every time. Before long you'll be setting yourself bigger writing challenges and you'll have the experience and confidence to know how to approach them. These days I tend to read a lot of historical fiction because it helps hugely to be very aware of the genre in which you're writing. I used to only read non-fiction books for research but lately I've noticed that I read history books for pleasure too now. Recently I read `The Black Count' by Tom Reiss about the remarkable father of Alexandre Dumas. It was a fascinating and educational biography but its exactly the sort of book that I would have thought very boring ten years ago. It goes to show that our reading tastes change quite a lot as we go through life and that's probably a good thing. What can we expect from the sequel Dodger of the Dials? You can expect blood on the cobbles. Dodger is advancing as a professional thief in the rookeries of London but it is at a cost to his own soul. He makes an alliance with a much more dangerous criminal called Weeping Billy Slade and this turns out to be a deal with the devil. It leads him down some much darker avenues than those explored in the first book and Dodger's own past soon begins to catch up with him in more ways than one. The noose hangs over the whole tale. I've just found out that you've written some short stories. How would I find these? Do you enjoy short reads? How is it for a writer? You can find my short story `Jaggers & Crown' in The Fiction Desk anthology called `All These Little Worlds' if you like. Its about an elderly man that used to be in a comedy double act and one day he reads his own obituary in the paper. This unsettling revelation leads him to remember his now long dead partner. I'm very proud of that story actually so I'd like it if people who enjoyed Dodger might track it down. Writing short stories is how I first got started and I like to write a couple in between each book because its very freeing to write something in a shorter space of time and I like the discipline it gives you to tell a narrative with greater economy. Its occurred to me that not only are short stories the first things I ever wrote but they will probably be the last things too. I hope to one day have a decent collection to publish. Is there one book or series that you'd wished you'd written and why? I've always thought it would be great to have written something like Cold Comfort Farm by Stella Gibbons. Just a perfect comic novel and very unlike what I've been working on lately. Also, can we at Dark Readers have an extract from Dodger of the Dials in the lead up to its release? Sure, I'll see what I can do. And thanks a lot for covering the book. It really helps us new writers to have such support form websites like this! You heard it here first Dark Readers will be having an extract real soon. I have just received my long awaited copy of Dodger Of The Dials once I have read it I shall be reviewing here at Dark Readers. Thank you James...I look forward to devouring the second helping of Dodger. If you're late to the party read my review of Dodger here get up to speed before the next instalment.